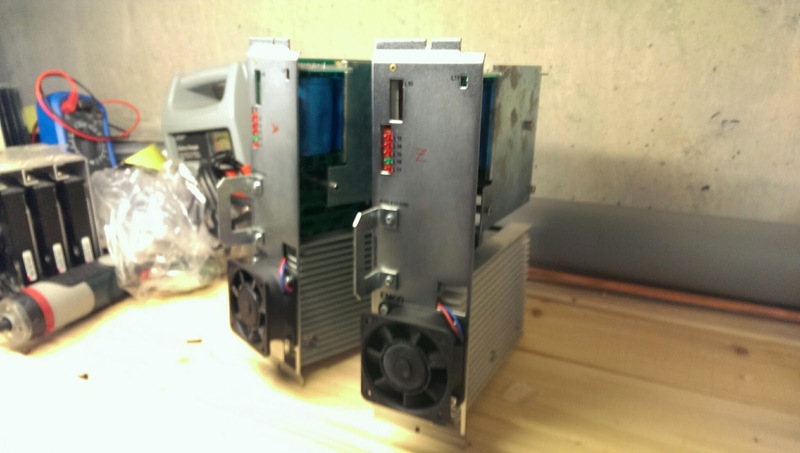 So my EMCO mill suddenly started working after months of stress and although I have become fairly familiar with operating it I quickly realized that I know diddly squat about the important CNC milling stuff like G-Code or how to work a CAD/CAM software to actually be efficient at milling. So I googled "G-Code cheat sheet", and to my amazement not a single high-resolution, colorful, to-the-point, well explained PDF file popped out. I was flabbergasted. 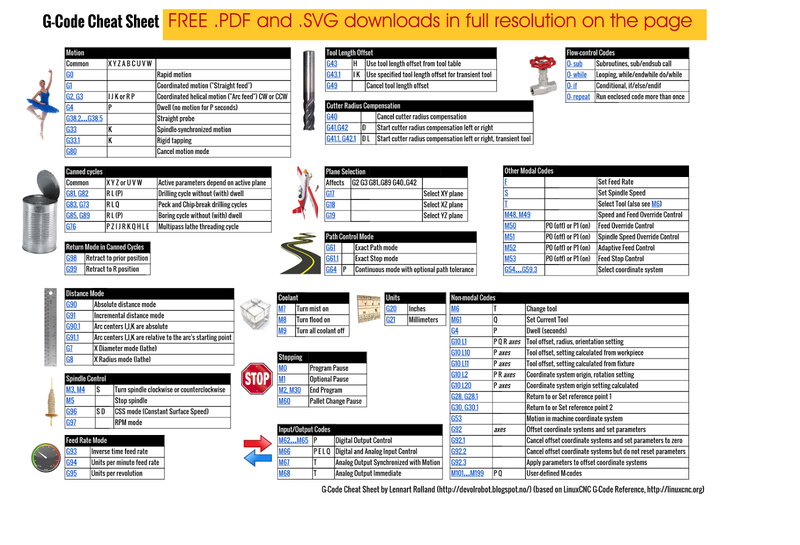 Download G-Code Cheat Sheet in .SVG format. Download G-Code Cheat Sheet in .PDF format. Please note that I am an absolute beginner, and I have made this sheet to learn this myself. I will not be held responsible if the information is wrong. Please do not hesitate to let me know if you find mistakes or if you have suggestions. Thanks!